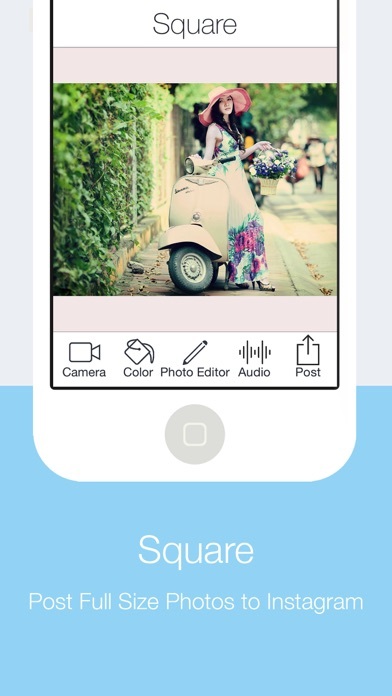 Square is your ultimate photo app for Instagram! Loaded with features, no need to download multiple apps for your photo needs. Square has it all! ◉ Post any photo with any size fully to Instagram. No crop required. 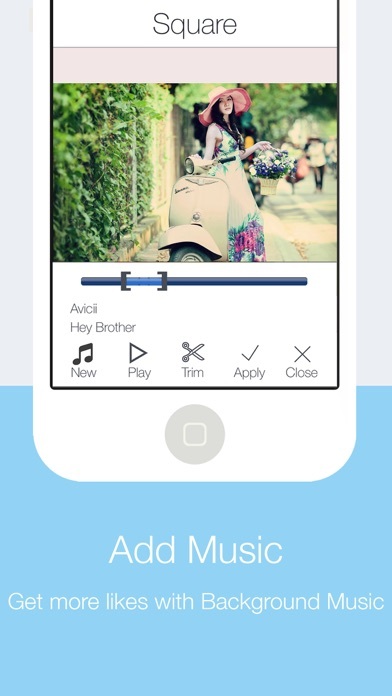 ◉ Add music to your photos. ◉ Record your own voice clips and add it to your photos. ◉ Add background color to your photos. ◉ Filters ◉ Frames ◉ Overlays ◉ Stickers ◉ Rotate and crop ◉ Blur ◉ Whiten teeth ◉ Remove blemishes ◉ Meme, texts, and free style drawing And many more!!!! !